The fear that the iconic Pacific Princess — which sailed into our hearts in the 1977-86 TV show “The Love Boat” — is being torn apart for scrap has sadly come true. Confirmation comes from Peter Knego, a noted cruise ship historian and journalist who secured photos of the ship in the Turkish scrapyard. “Scrapping of the ship has reached the point where the funnel came down. She is half to two-thirds gone,” Knego told Travel Pulse. It is an ignominious end for the 1971-built ship, which introduced cruising to the masses by its weekly appearances on the TV show. Many credit the program with helping build the modern cruise industry in its early years. In fact, the Cruise Lines International Association (CLIA) inducted “The Love Boat” into the Cruise Industry Hall of Fame in 2006. 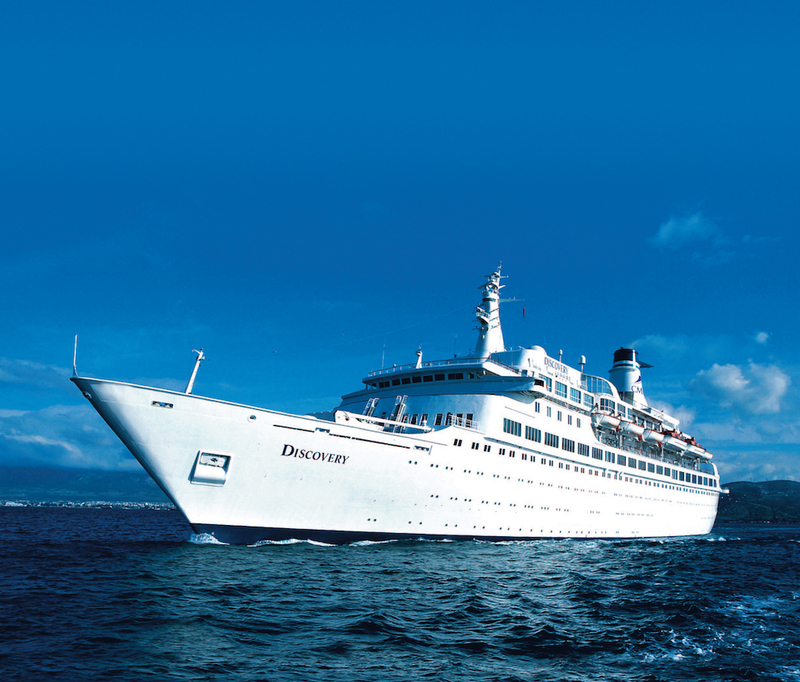 And Princess Cruises continues a relationship of more than a quarter-century with actor Gavin MacLeod, who played Capt. Merrill Stubing and serves the cruise line as a good-will ambassador. 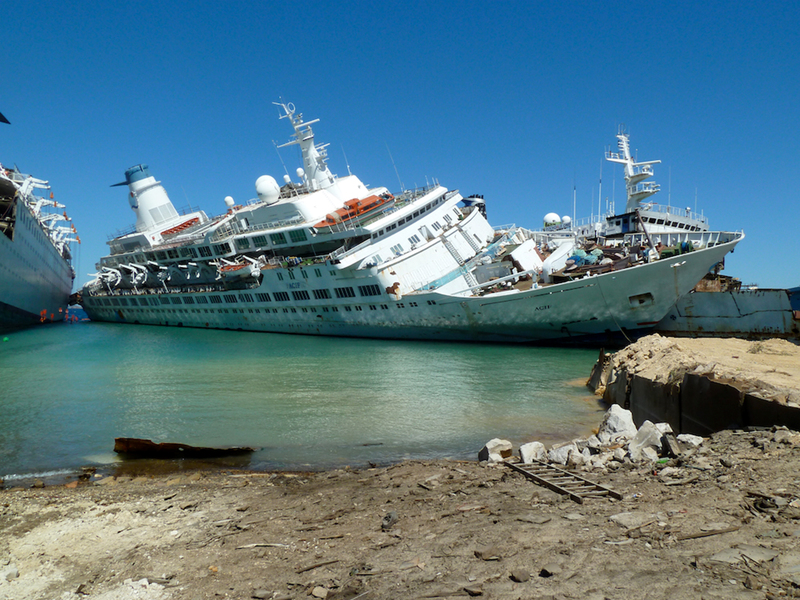 The ship, though, left Princess Cruises in 2002. It changed hands several times and then came to languish for years as the cost to renovate it skyrocketed and it was eventually sold for scrap. 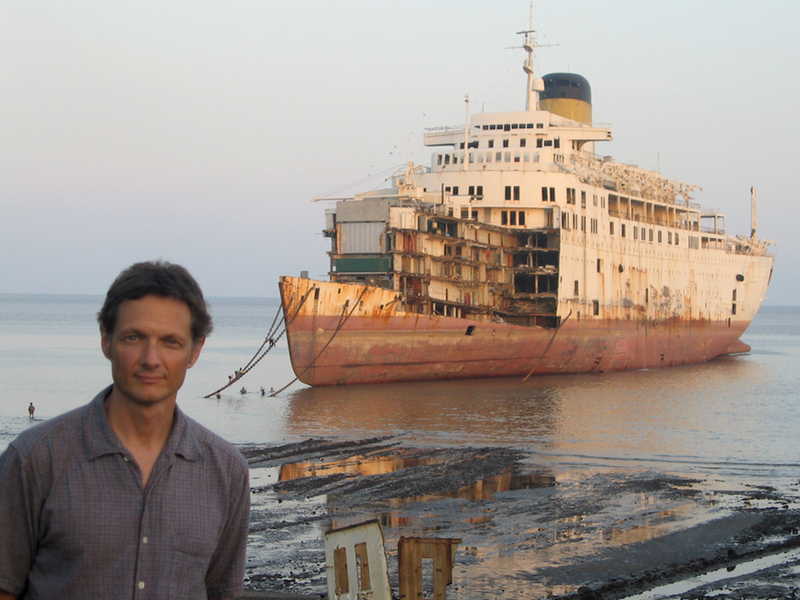 Fascinated by classic cruise ships since the early 1970s when he researched the Lusitania for a school project, Knego in 2004 began salvaging what he could from the old vessels, many before they were dismantled in the breaker yard in Alang, India. He saved one-of-a-kind artworks, vintage furniture, fittings, linens, silver, crockery, navigation equipment, brass bells and more. Much of it decorates his home in Southern California — which was featured in the New York Times and other publications — but some of the pieces are for sale on his website,MidShipCentury.com. Knego wanted to salvage artworks and other items from the Pacific Princess, but his efforts were for naught. “The breakers originally agreed to have someone assist me with rescuing fittings and some beautiful works of art that were still onboard and in excellent condition while the ship previously was at Genoa,” Knego said. “I visited her there in 2012 and was shocked to see so many original Scandinavian artworks intact. “I made a list (all artwork, the iconic purser’s lobby landing, compasses, teak decking, original chairs, builder’s plans, railing, etc.) and even went to Turkey in early September to see the ship at the breakers but with the severe list and the ship threatening to capsize, it was too dangerous to board. I spent several hours taking video footage and photos that I hope to use in a future edition of my DVD series on shipbreaking. But there’s a silver lining to the story. Pacific Princess has a sister ship, formerly called the Island Princess, which was occasionally used as a stand-in on “The Love Boat.” That vessel continues to operate today as the 700-passenger Discovery for Cruise & Maritime Voyages, so those seized with nostalgia for the Pacific Princess can cruise on her sibling. Knego has sailed three times on the ship, which also has been known as Island Venture. “Structurally, she is identical to Pacific Princess and, save for a few additions like a larger spa, her layout is exactly the same,” Knego says. “Most everyone on board enjoyed a descent down the ‘Love Boat’ stairs in her lobby and there was much pride in her heritage as ‘the other Love Boat.’ But potential cruisers take note: She is not a megaship; she has tiny pools and no waterparks and no verandas. Her cabins are relatively small and there is not a proper show lounge. “But she’s a gem of a ship with beautiful teak decks, lovely lines and even some beautiful original artworks that were almost disposed of by an overzealous interior designer who later saw the light. With old ships, time has proven that major decorative refits often change the character in a negative way and don’t age as well as the original look. Knego understands that classic cruise ships cannot sail indefinitely, but his appreciation for their architecture and design will live on. “Old ships are more costly to run, have limited facilities (no balconies) and just cannot compete with all the glamorous new ones,” he said. “I love the ships from the Post-War era through the late 1960s the most as they embodied mid-century style and were fitted with organic materials like wood and etched glass. John Dennis, vice president of sales and marketing of Cruise & Maritime Voyages, said the Discovery today mainly sails in Northern Europe.